SPURLOS VERSENKTU. S. Transport, Covington, just after being torpedoed while returning from France. "The bugle sounded 'Silence' and the men went down the Jacob's ladders as if at drill." The crew was rescued by the destroyer, Smith. 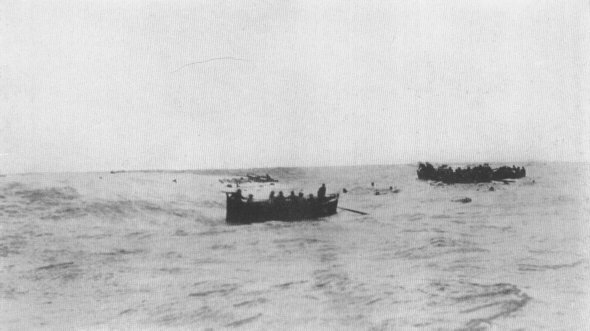 ABANDON SHIPPhotograph of the escape of the passengers from the sinking ship, Sonay. The small black dots bobbing up and down are passengers swimming around in the sea. 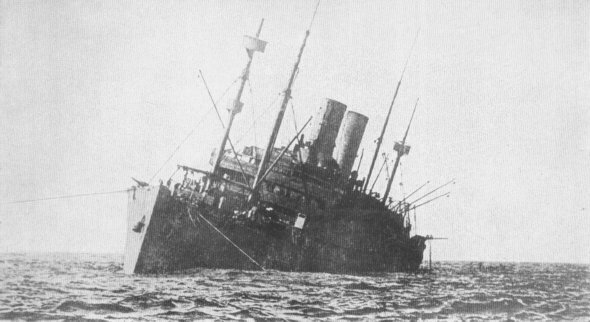 The ship sank within four minutes after being torpedoed.